Charmingly located on a verdant hill of 6500 sqm of land, gazing over the beautiful blue waters of the Ionian Sea and the lovely green scenic view of Mount Pantokrator. Victoria Hill Hotel is set in lovely gardens, with various trees and greenery and only a few minutes away from the center of Dassia. The resort of Dassia has been a popular resort for many decades and here you will find a wide variety of taverns, bars, shops and plenty of nightlife. Our intimate family run 3-star hotel consists of four buildings with 42 guest rooms, that are all equipped with standard amenities to ensure you a pleasant and relaxing holiday. Your home away from home. All guest rooms have been refurnished and include individually controlled air condition and heating, direct dial telephone, satellite TV, en-suite bathrooms and balconies. 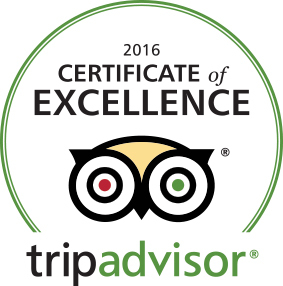 Our aim is to offer our guests the well known “Greek Filoxenia”, meaning hospitality. Looking after our visitors and making them feel welcome and comfortable during their stay is our first priority. We invite you to relax on your private balcony, sip a refreshing drink on our terrace and enjoy the magnificent panoramic view. Dip into the refreshingly cool pool and soak up the sun, laze on a sun-bed. Ether way - just enjoy. Victoria Hill Hotel re-opened in 2013 under the new management by the owner, Gina and family.